Forced into a high-stakes game he does not want to play, but must not lose . . . It is Pete Petrovski’s rookie season with the NHL’s Columbus Jetz, and his exploits on the ice leave sportswriters scrambling for superlatives. 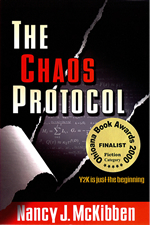 But Mob boss Grigorii Oxanov finds Pete’s celebrity irresistible for a darker reason: he plans to lever Pete’s influence and contacts to turn the NHL into a cash cow for the Russian Mafiya, the crime syndicate that murdered Pete’s parents when he was only eleven. Pete knows Oxanov as an arts patron and advocate for Russian orphans – and as a friend and mentor. Only a few suspect the philanthropist’s secret life as a Mafiya boss: Pete’s girlfriend, Natalie, who intuitively distrusts the man; the FBI, whose brilliant but disgraced mole is gathering evidence; and a local reporter, who pegs Oxanov’s orphanages as a front for less charitable causes even as he falls for Oxanov’s mistress. Pete’s stunned realization that the Mafiya has big plans for his career imposes a nightmare choice – bow to the Mob and sacrifice his integrity or fight back and endanger the people he loves. Or is there a way he can refuse to choose at all? From the streets of Moscow to the locker rooms of the NHL, Blood on Ice takes the reader on a riveting journey of kidnapping, extortion, and murder, where noble intentions and cruel reality face off in the deadliest game of all. © 2012. Nancy McKibben. All Rights Reserved. 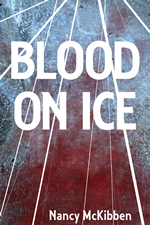 Blood on Ice logo, logotype and manuscript are the exclusive properties of Nancy McKibben.